1-1/2" ID End Fitting | U.S. Plastic Corp. 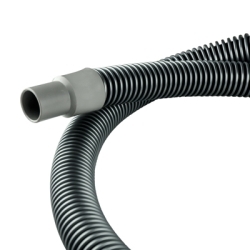 Available for Ductall® U2, U3 & U9 Industrial & Vacuum Hose, are end fittings molded of flexibly vinyl which simply screw onto the end of the hose. The ID of the fitting is the same as the ID of the hose. Fittings are not liquid tight.